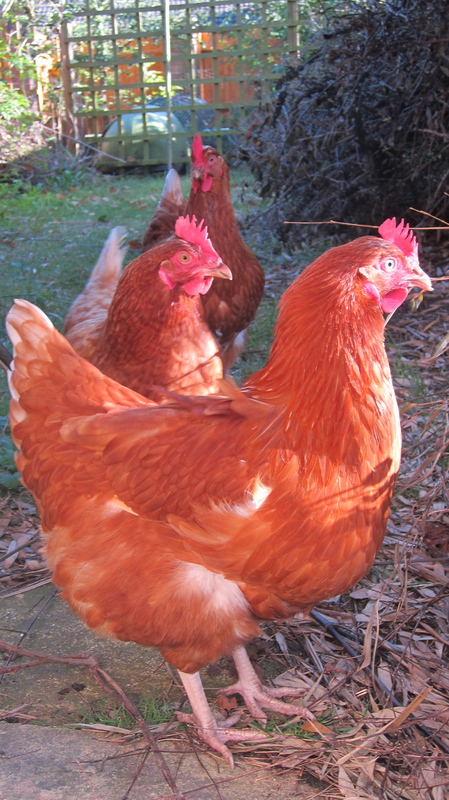 My chickens, otherwise known as Talon, Fluffball and Redwing, are three orange chickens. Redwing and Fluffball were bought quite recently, and Talon is an oldie. But there is a story about why she’s older than the other two…. Here comes a story of tragedy, murder, and love (not really). Two years ago, my parents bought some chickens. I called them Shadow, Talon and Fireball. “At the time, we had a cat named Billy. He was originally a stray cat at Asda the supermarket, until a cat rescue center came and took him in. We bought Billy to get rid of the rats and he successfully drove the rats away. We thought Billy was a superb rat catcher. And THEN (you might have already heard about this on my About page), during our holiday, our neighbour’s dog killed our other hen Fireball. Dad bought Fluffball and Redwing to replace them. 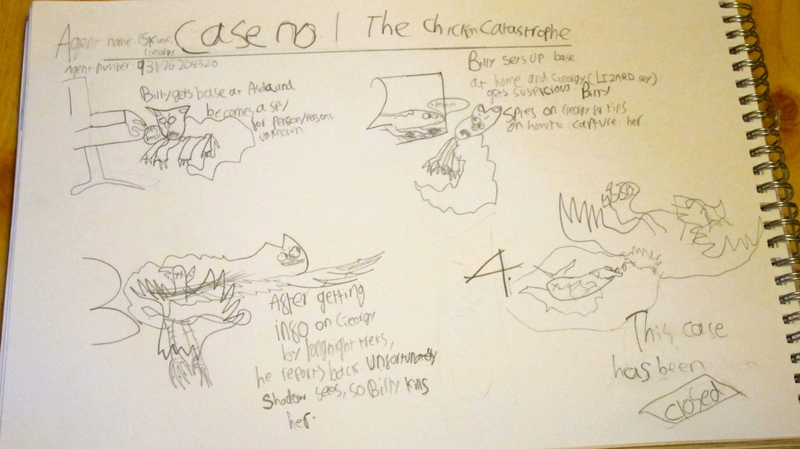 I felt quite sad about the death of both chickens. My mum was distraught. 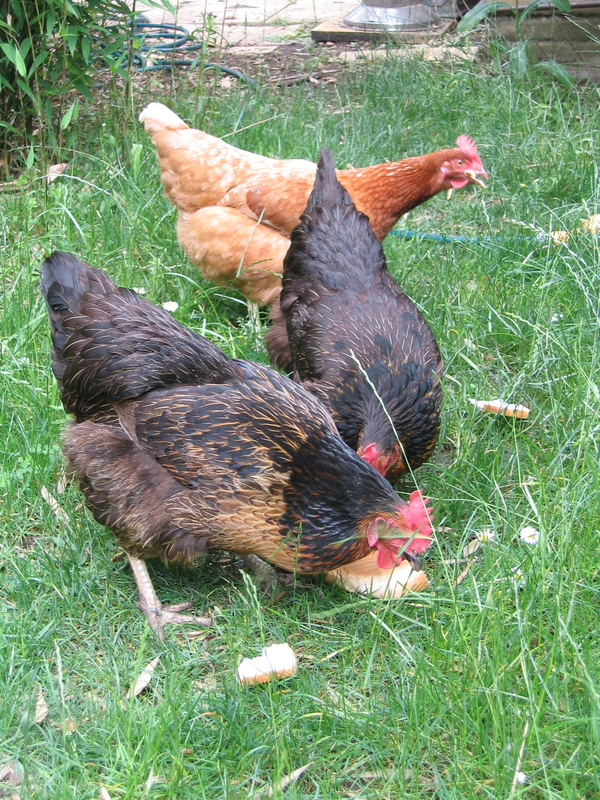 Now all our 3 chickens are safe and happy in the garden. Our neighbour had mended the fence, so their dog couldn’t get into our garden anymore. This is a fabulous story Ben….Shakespere (were he still alive!!) had better watch out! !